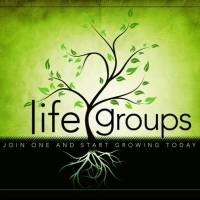 We have LIFE Groups for all ages so that everyone in your family can be in an age appropriate envoirnments. Click here to learn more about our LIFE Groups. Our Winter LIFE Groups begin on Sunday, January 3rd and go through the end of March. Just enough time to make some great friends and grow towards your goals. Don't worry if you didn't "sign up" as walk-ins are always welcome. Bring a friend!